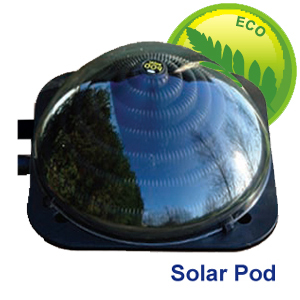 Solar Pods are the newer, younger brother of solar matting. 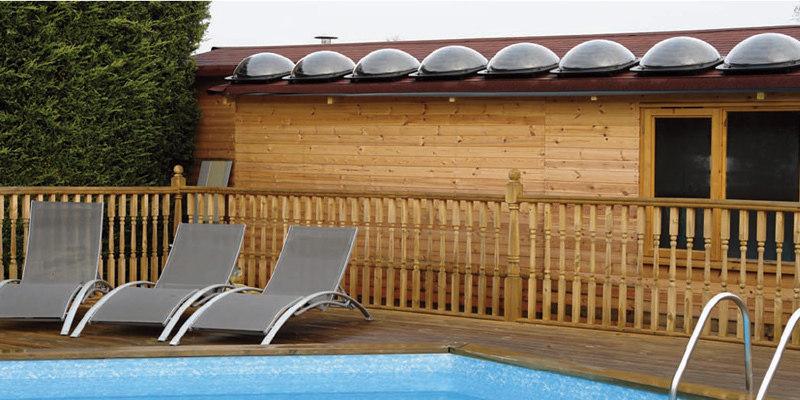 Solar Pods are more compact, however, and so are ideal for those who might not have the space for solar matting. 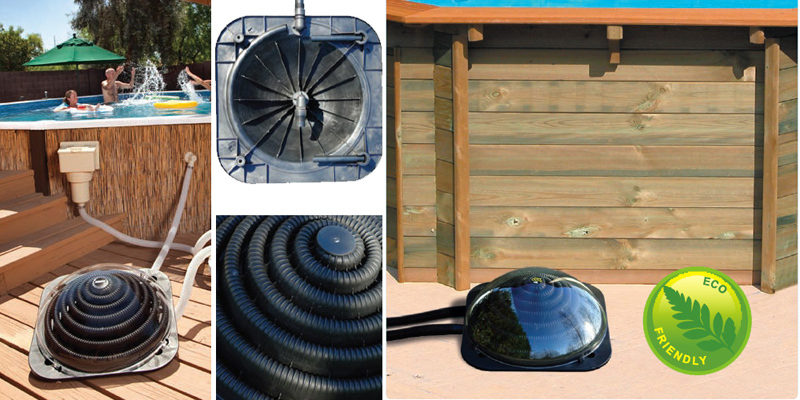 Like the matting, solar pods can be used in above ground and inground pools. 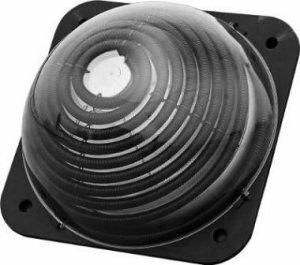 Solar Pods also tilt for the best angle of sunshine or can be placed on a roof with an adequately powerful pump, and feature a robust transparent polycarbonate dome which retains heat well and also reduces heat loss from wind. Solar Pods require no maintenance other than Winterising (i.e. 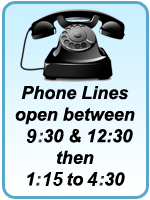 emptying during Winter months to prevent freezing damage). Installation is done with a phillips head screwdriver & lubricant. The Solar Pod eventually pays for itself with free heating! 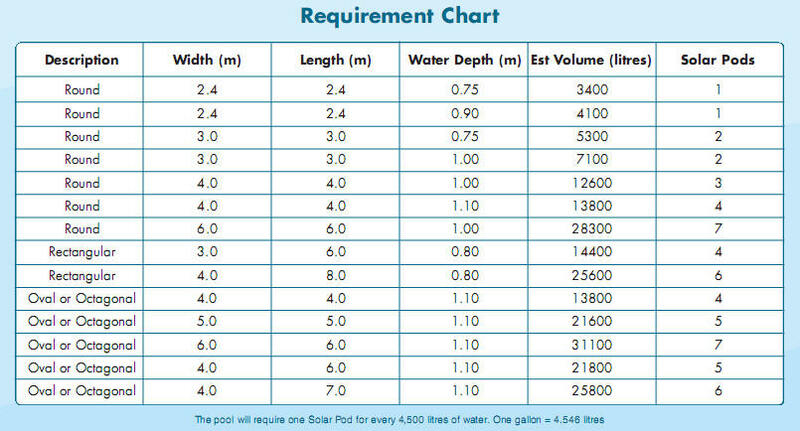 The Solar Pod Plus is the big brother of the standard solar pod but all the excellent specs remain the same. 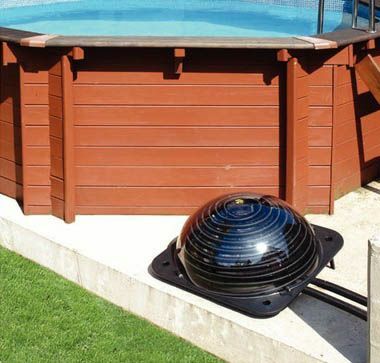 With the Solar Pod Plus you're getting a larger surface area which allows for a larger capacity of heat absorption and therefore provides you with more heat for your pool...It's as simple as that!